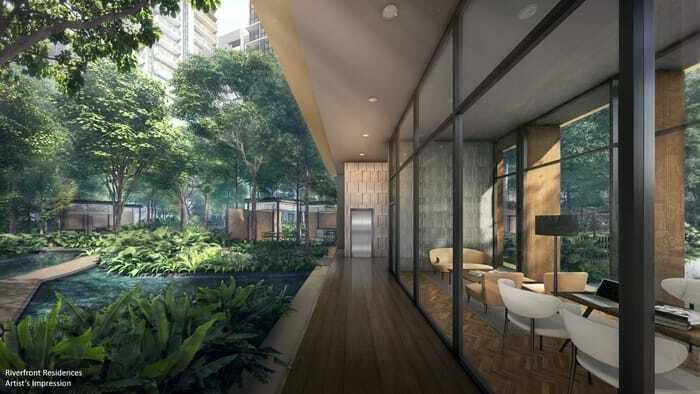 High Park Residences – Fernvale Road New Launch condo by Chip Eng Seng & Unique Residences. 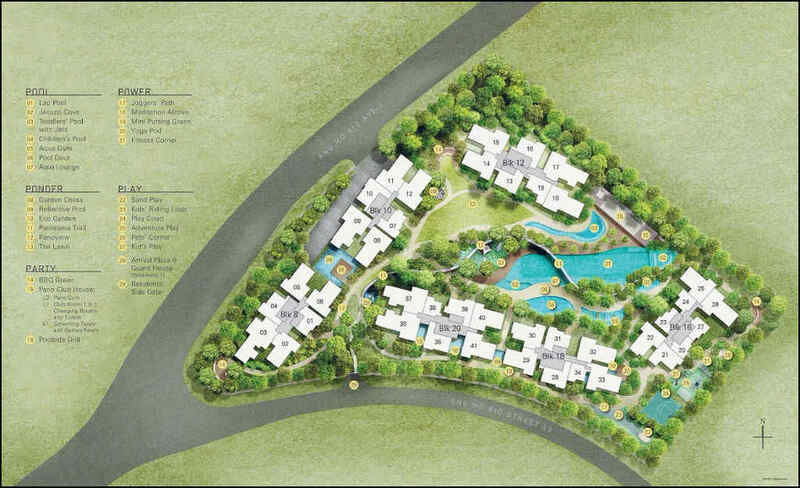 Total Units: 283 units of flat/apartment + 1 unit of strata Bungalow + 4 units of strata Semi-D.
Unit Mix: 1br, 2br, 3br, 4br Penthouse, Bungalow and Semi-D.
Thomson Impressions is nestled in the serene District 20 with great convenience and view. 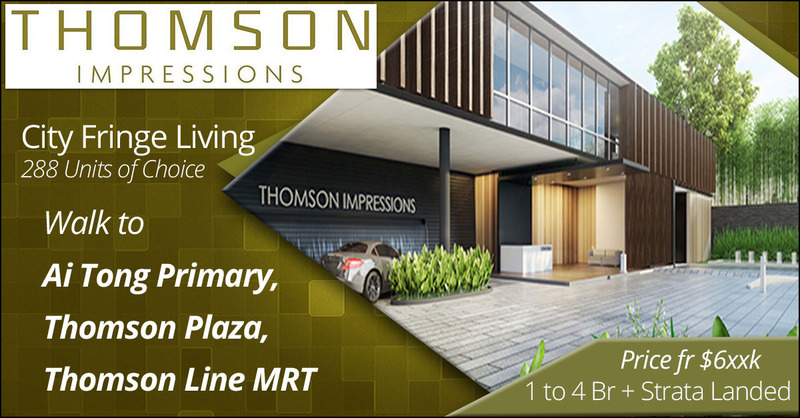 Close proximity to Nature Parks, Shopping Malls, MRT Stations, Famous Eateries, Golf Course, Famous Primary and Secondary Schools, Thomson Impressions is the perfect dream home buyers are looking for! 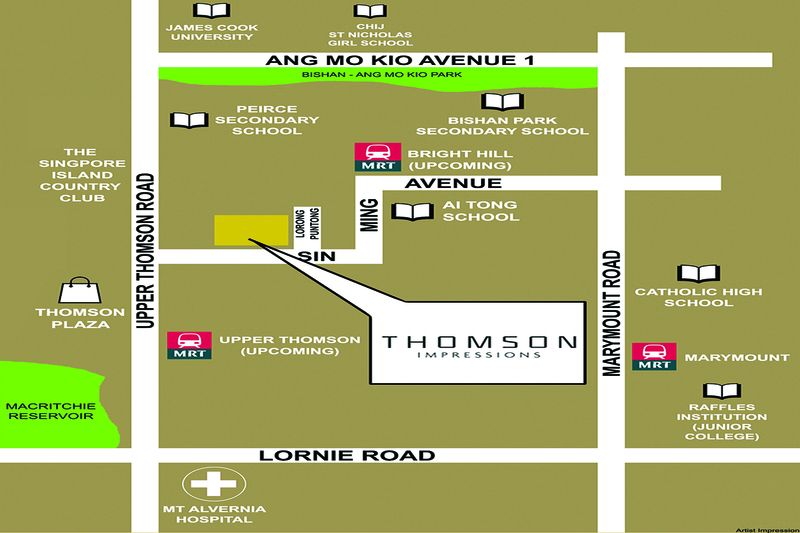 Thomson Impressions is located within only 3 mins walk from upcoming (TEL) BrightHill MRT Station and it takes only 6 stations to arrive in Orchard Road. The Future Thomson Eastern Line (TEL) will be operational by 2019. 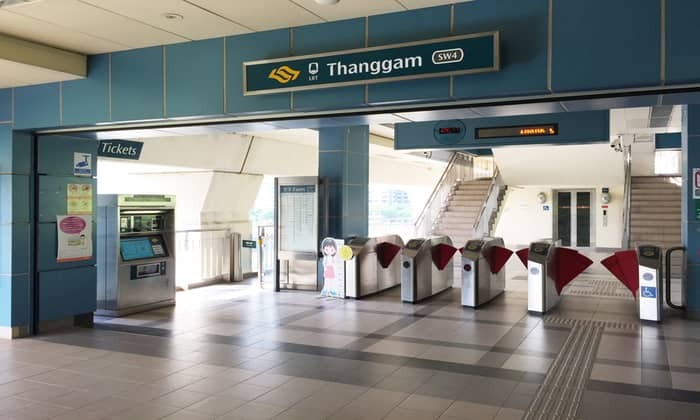 The 43km TEL will add 31 new stations to the existing rail network, with 7 interchange stations, which will link to the East-West Line, North-South Line, North-East Line, Circle Line and the Downtown Line. 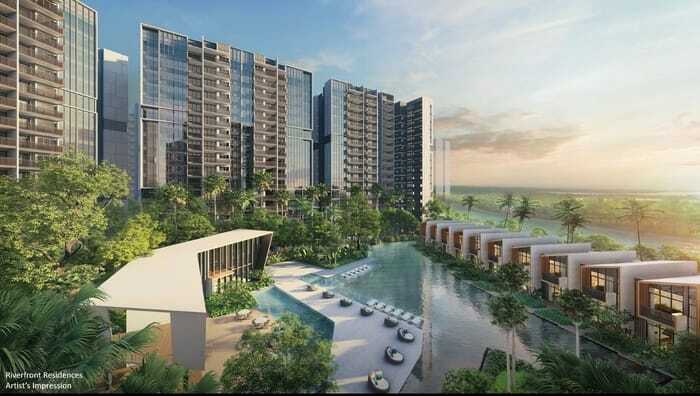 Thomson Impressions offers a panoramic view of Singapore Island Country Club and Lower Pierce Reservoirs as well as Thomson Landed Enclaves. 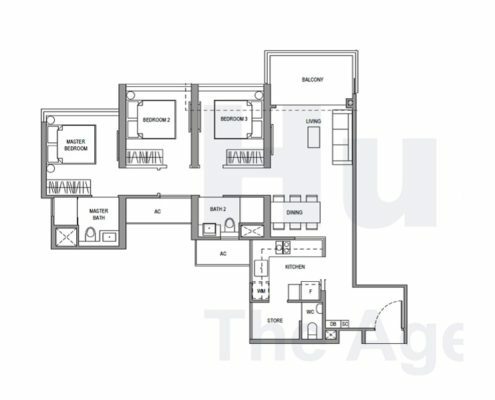 The Panorama Condo – For all the Good Reasons and Everything in Between. 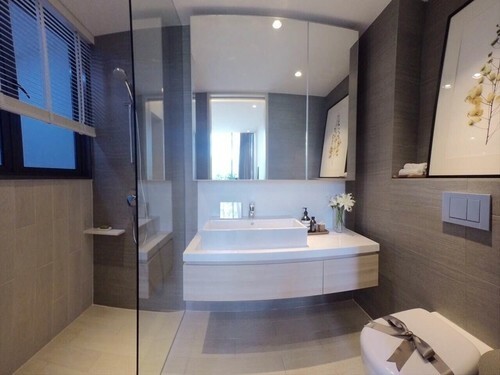 The Panorama Condo is the latest development by the reputable developer, Wheelock Properties Singapore Limited. 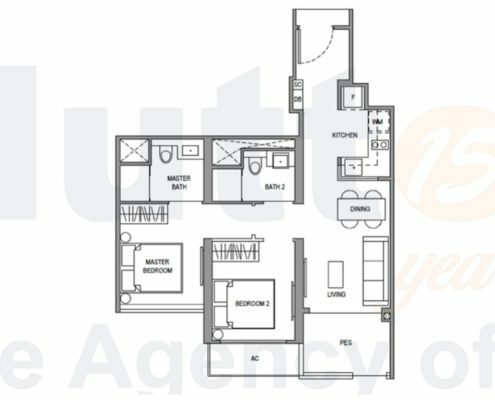 Located along Ang Mo Kio Avenue 2 where it is surrounded by the landed properties with unblocked view throughout. 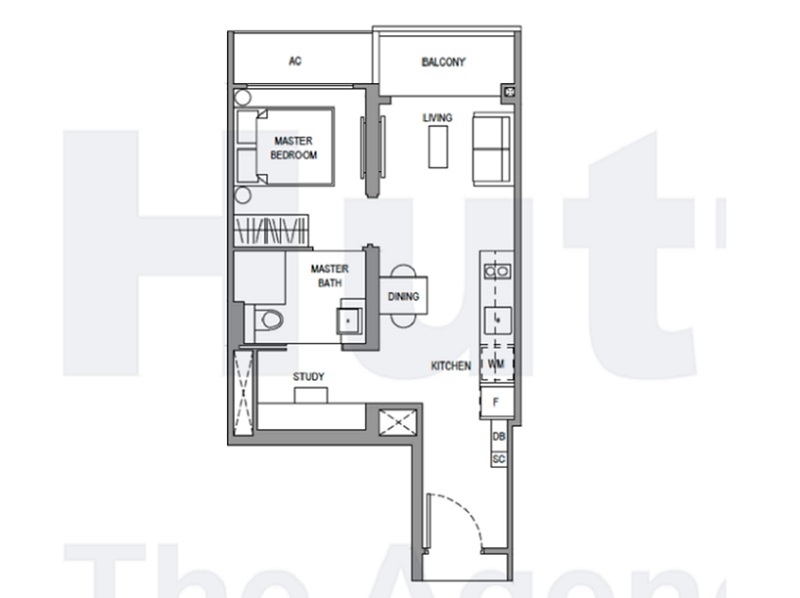 The unique location brings with it breath-taking panoramic view for majority of the units. 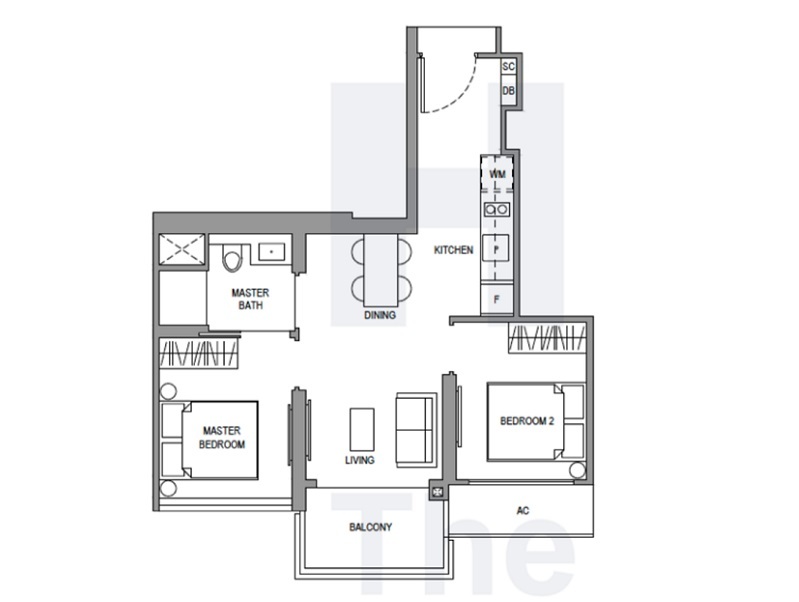 The Panorama is nestled in the serene District 20 with great convenience and view. 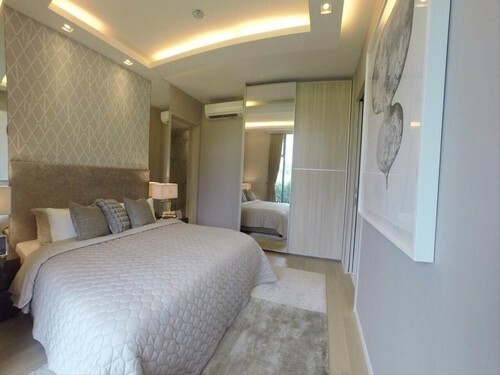 Close proximity to Nature Parks, Shopping Malls, MRT Stations, Famous Eateries and Famous Primary Schools, The Panorama is the best place home buyers are looking for! 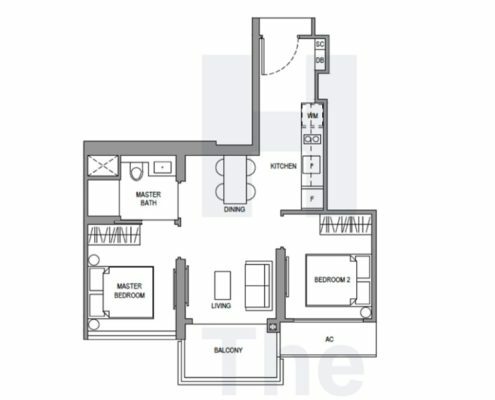 The Panorama condo is just 5 mins walk short walk from upcoming Thomson Line – Mayflower MRT Station and it takes only 8 stations to arrive in Orchard MRT Station. The Future Thomson Line will commence operation in 2019. The 43km TEL will add 31 new stations to the existing rail network, with 7 interchange stations, which will link to the East-West Line, North-South Line, North-East Line, Circle Line and the Downtown Line. 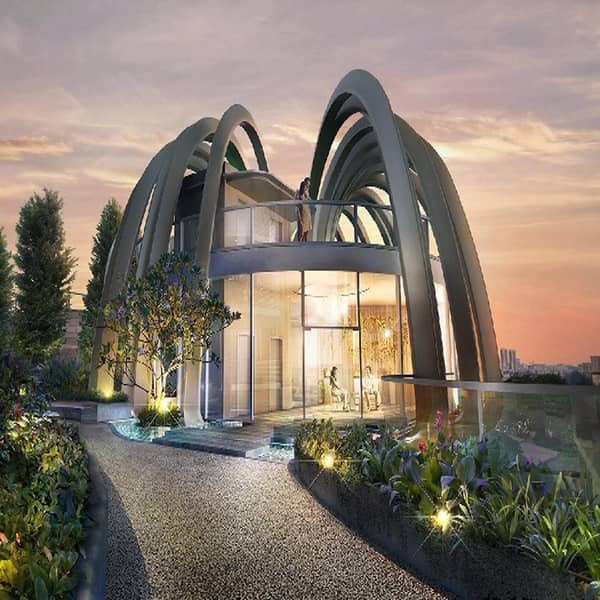 The Panorama condo offers a panoramic view of Singapore Reservoir Park and Island Golf Course as well as Landed Enclaves. 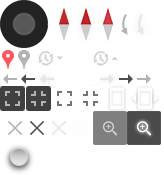 ATTENTION TO THE PANORAMA OWNERS, TOP OBTAINED! 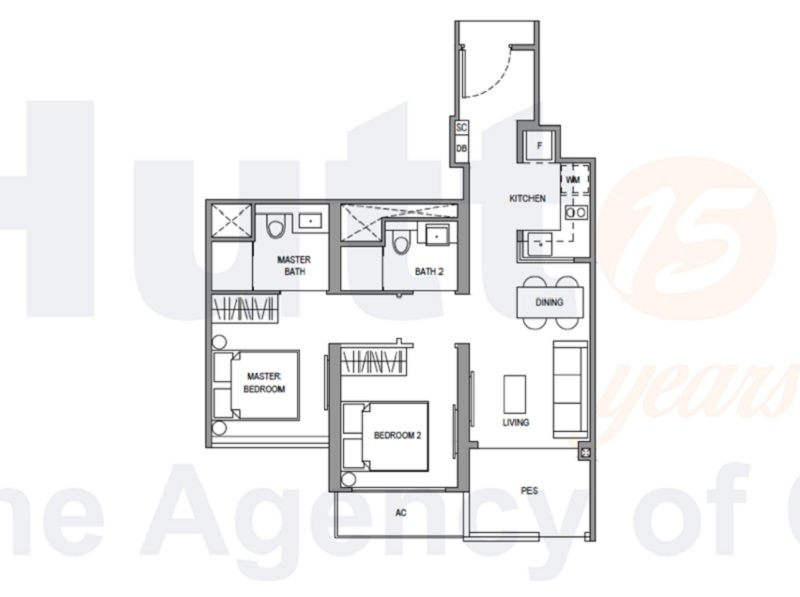 Contact us if you wish to sell or buy a unit! 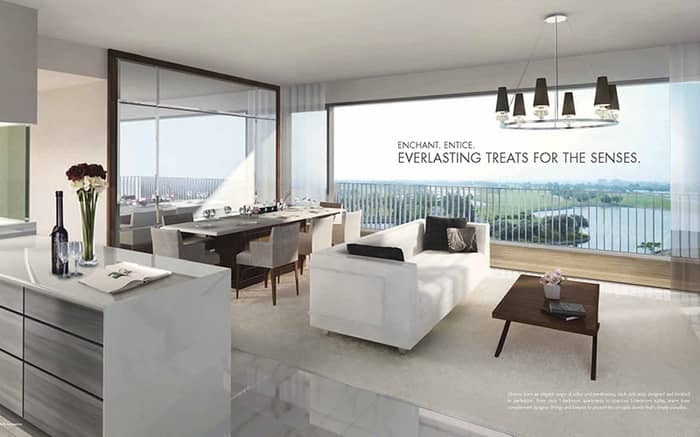 ♥ The Panorama Condo Direct Developer Sales is now Fully SOLD! 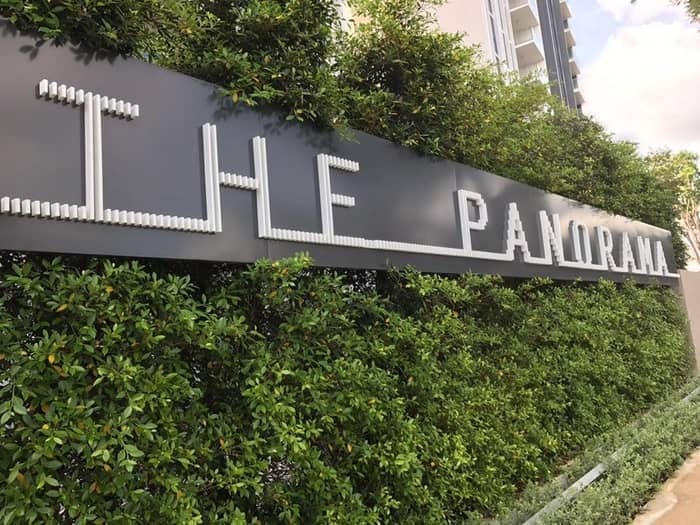 Let’s Review and Comment whether The Panorama Condo is a Good Buy! TOP obtained. 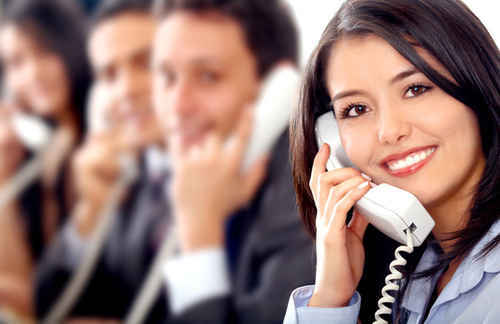 Register here for latest updates. 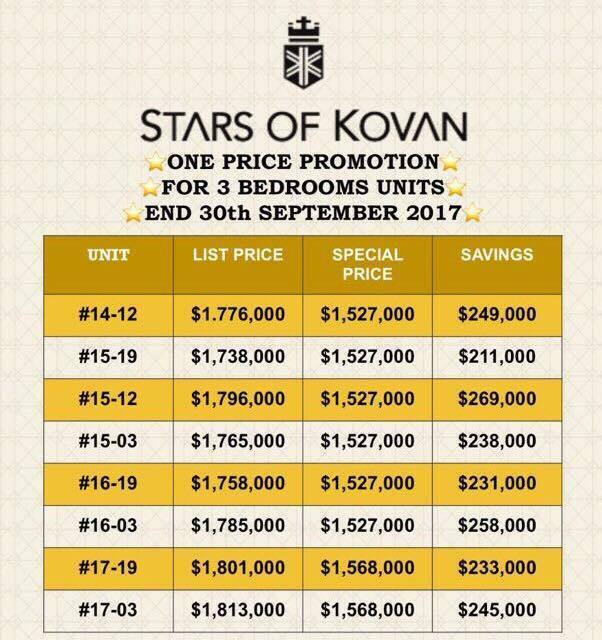 Stars of Kovan – For all the Good Reasons and Everything in Between. 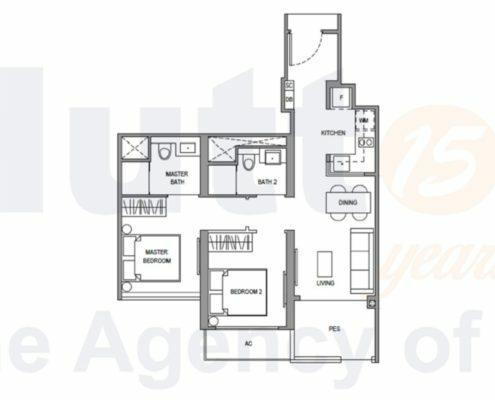 All condo units were 100% Sold. 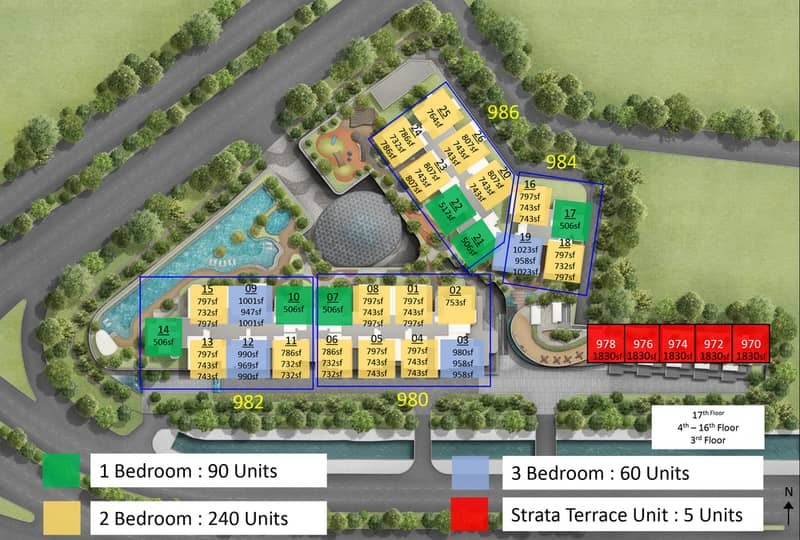 Last 5 units of Strata Landed for sale. 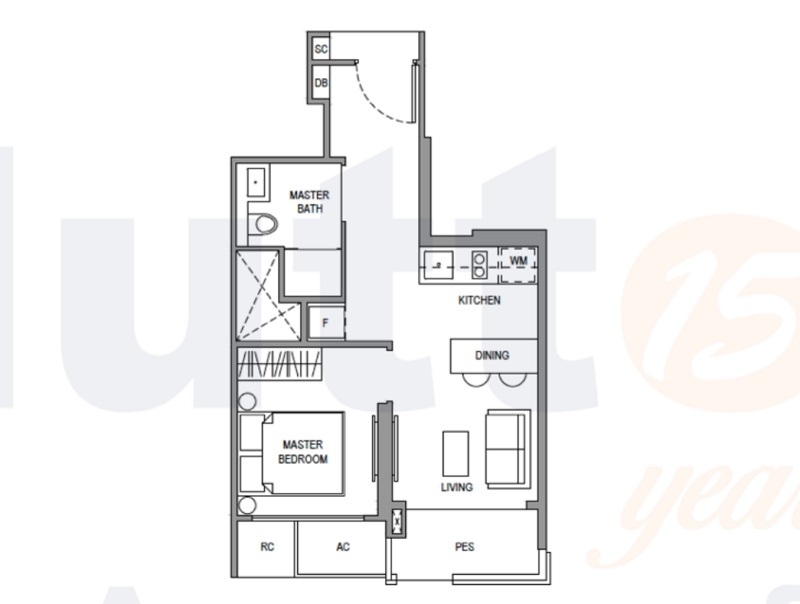 Unit Mix 1 Bedroom: Fully SOLD! 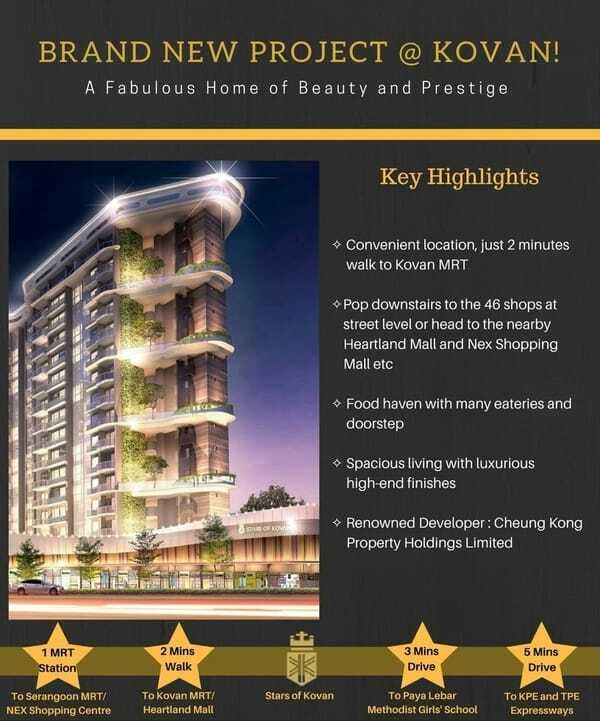 Stars of Kovan is the latest development by the reputable developer, Cheung Kong. 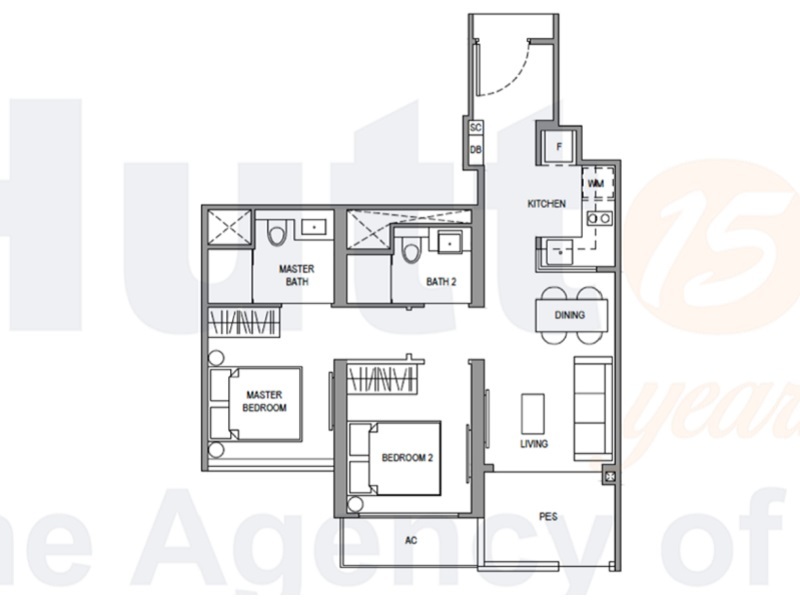 Located along Upper Serangoon where it is surrounded by the landed proper the ies with unblocked view throughout. 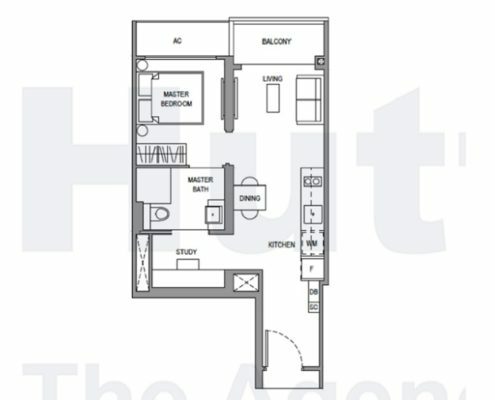 The unique location brings with it breath-taking panoramic the view for majority of the units. 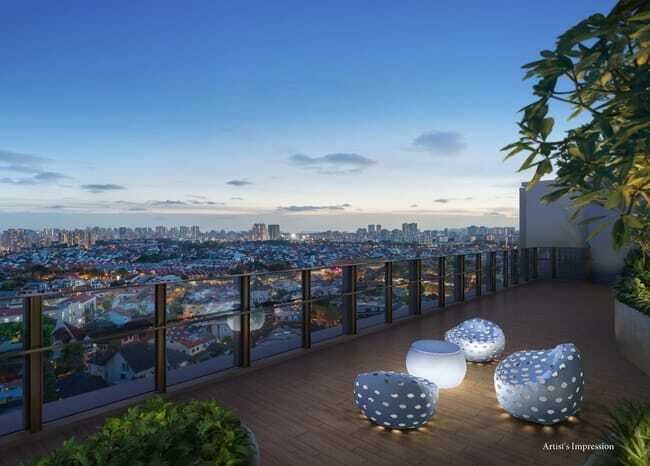 Stars of Kovan is nestled in the District 19 with great convenience and accessibility. 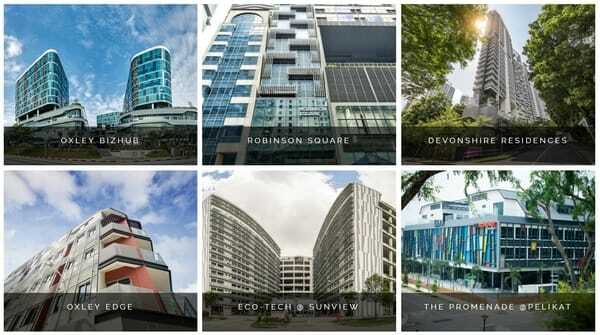 Close proximity to Nature Parks, Shopping Malls, MRT Stations, Famous Eateries and Famous Primary Schools, Stars of Kovan is the best place home buyers are looking for! 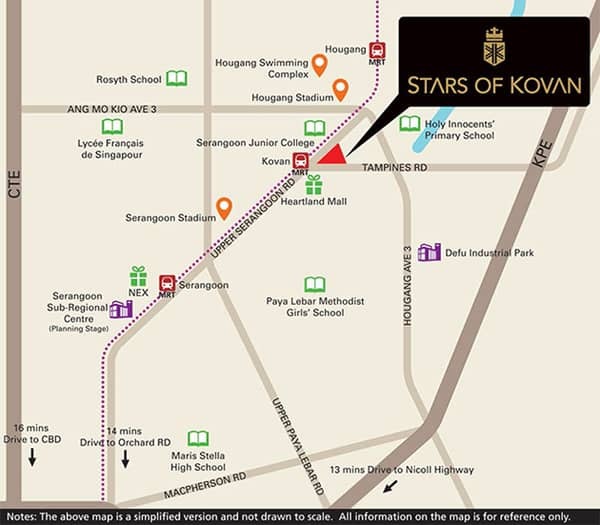 Stars of Kovan is just 2 min short walk from Kovan MRT Station and it takes only 1 station to reach Serangoon MRT Station and NEX shopping mall. 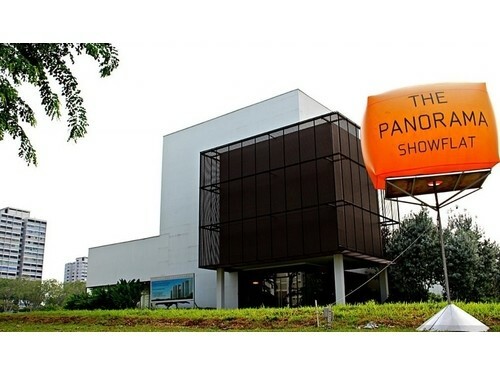 The Panorama price is from $1,3xx PSF. Will Sing Development & Wee Hur create The One Day Sold Out Recordwith PARC BOTANNIA? 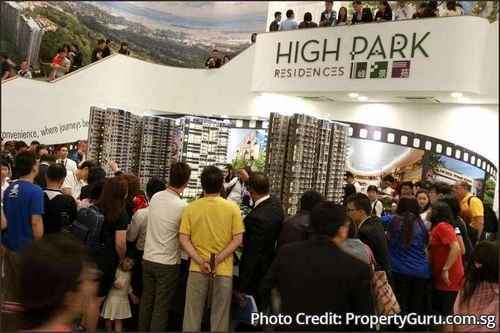 The launch of High Park Residences (next to Parc Botannia) in July 2015 sent new private home sales creating the most astounding record in over 4 years. 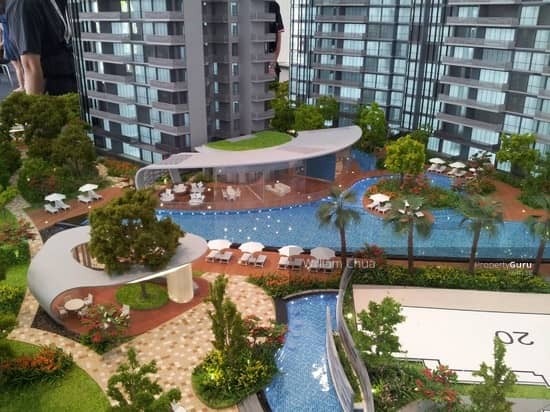 During the first weekend of launch, 1,100 of 1,390 units were sold by CEL Development. For illustration purpose. 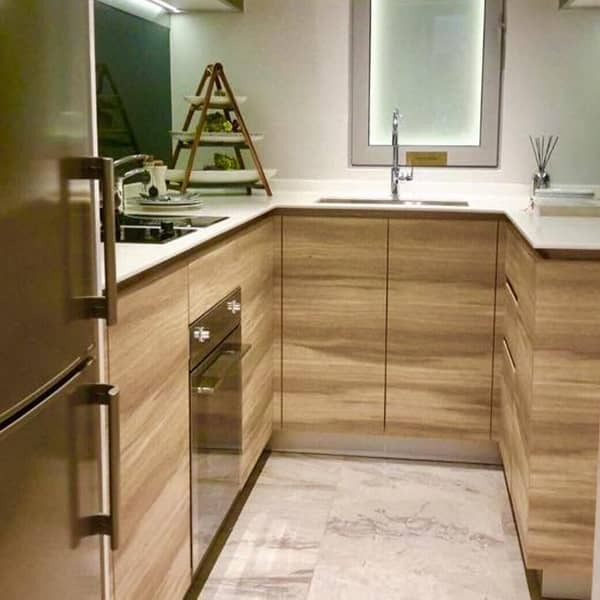 Picture extracted from Parc Centros (same developer for Parc Botannia). 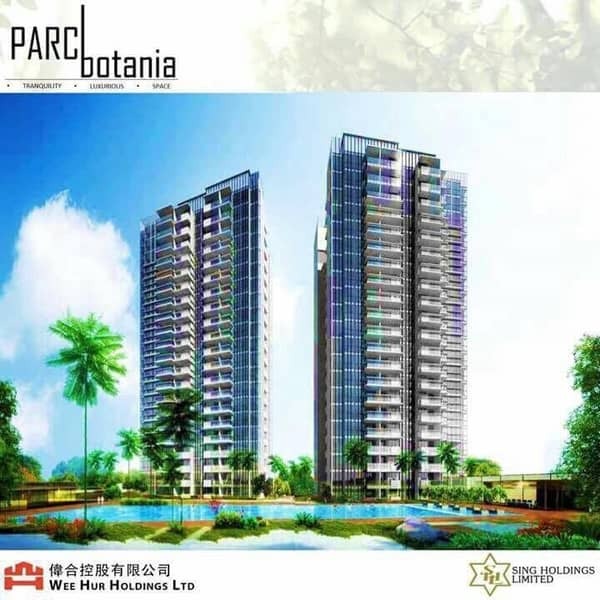 In August 2017, Sing Development and Wee Hur informed that the residential project to be named as Parc Botannia and will be launched in October 2017. 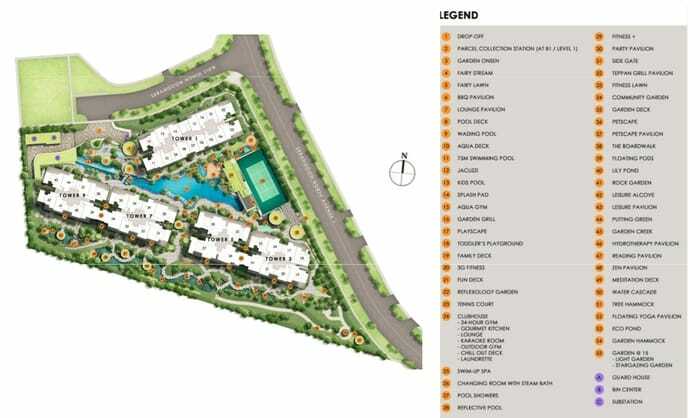 Parc Botannia will yield 735 housing units, with a wide range of choice from 1 to 5-bedroom unit type. 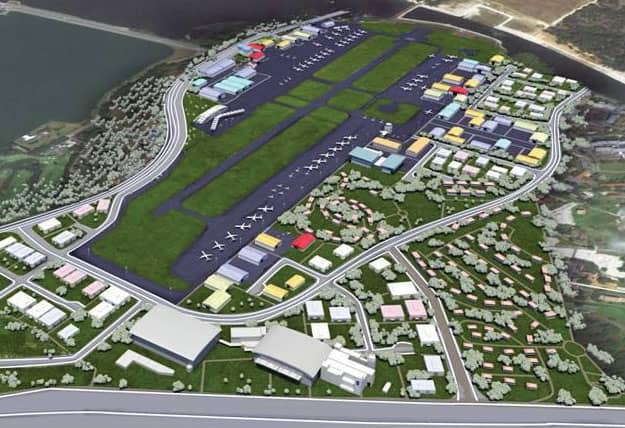 Sing Development and Wee Hur show the strong track record in local developments. 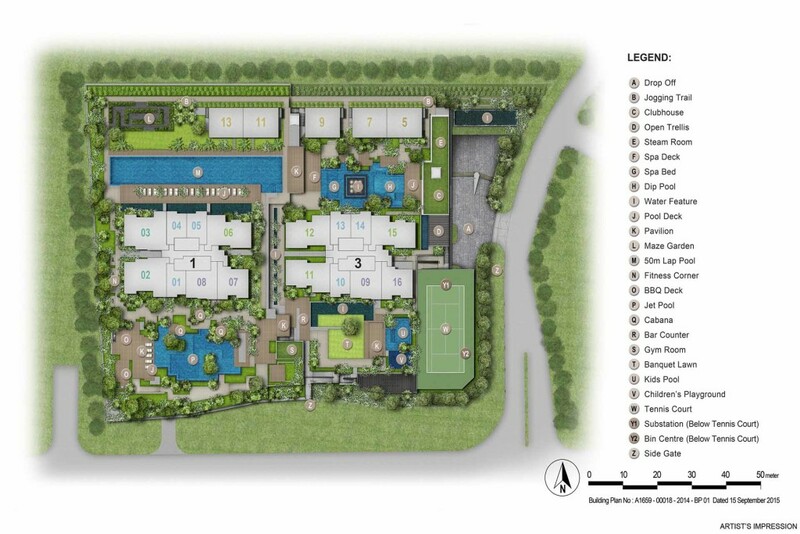 The developments include Robin Residences, The Laurels, Meyer Residence, BelleRive, Parc Centros, Waterwoods, etc. 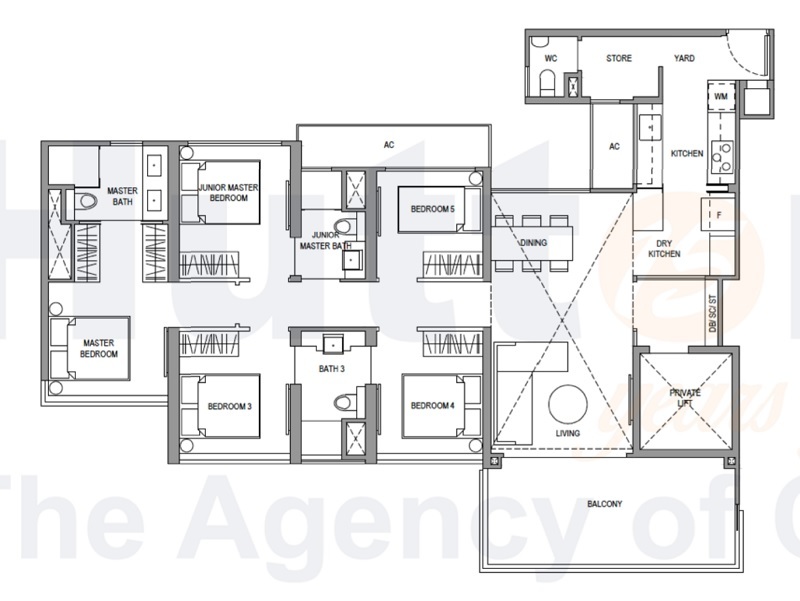 They are also developers for commercial buildings such as Ocean Towers and EastGate. 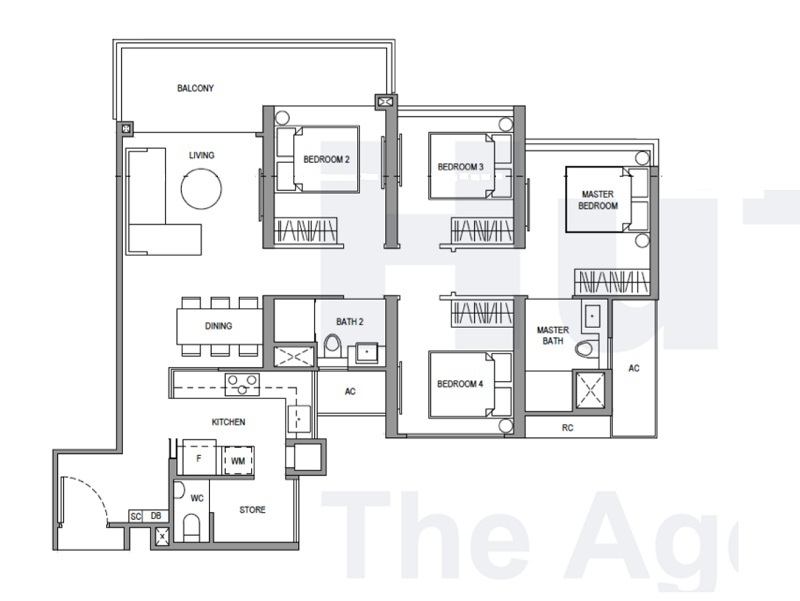 Property Type High Rise Residential Towers comprising 735 apartments, ranging from 1-Bedroom to 5-Bedroom Unit Type. 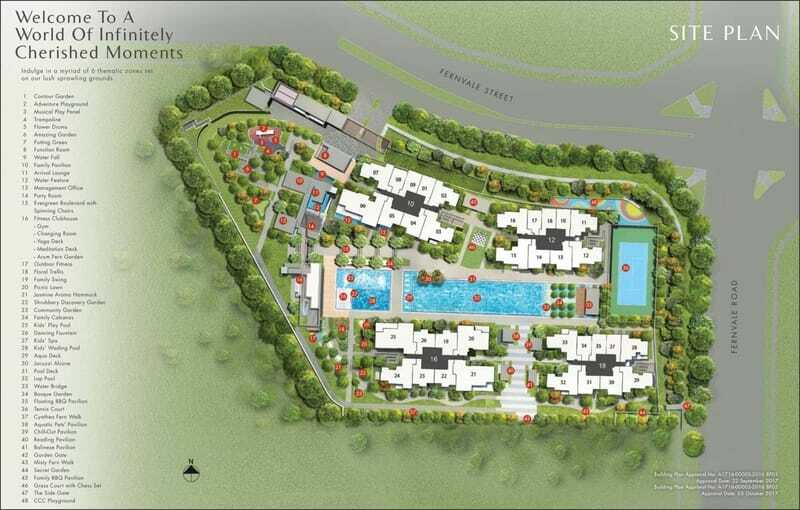 In the light of dictionary, the proposed name of Parc Botannia denotes peaceful and greenery environment appeal to you. 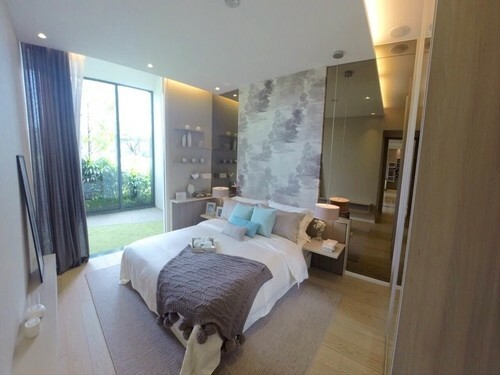 Located at Fernvale Road, Parc Botannia condo is expected to launch in the 4th Quarter of 2017. 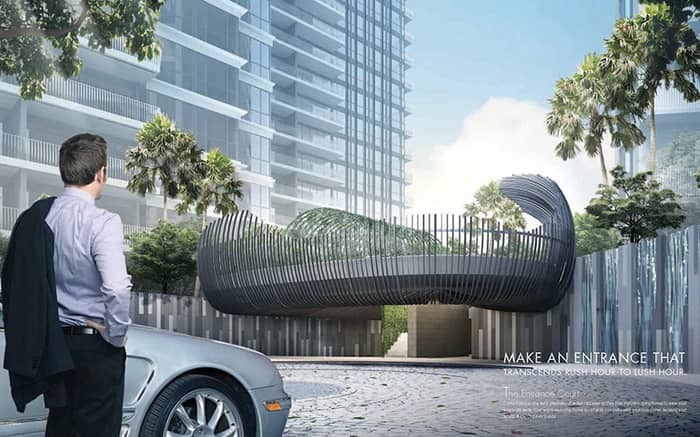 Parc Botannia condo will yield 735 private residential units. 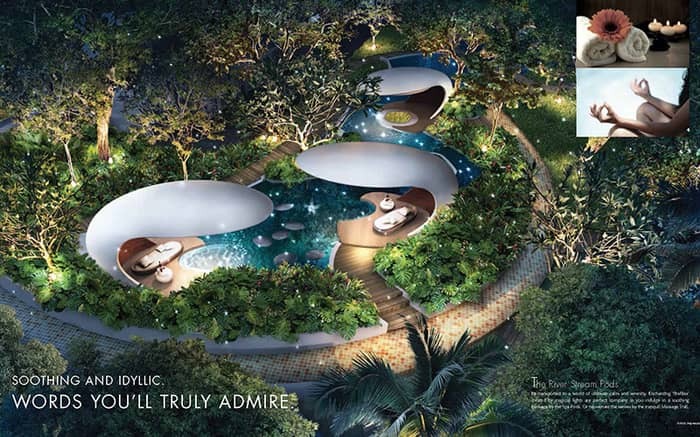 Uniquely eliciting freshness into the interiors, the gardens at Parc Botannia Condo indulges you in the pleasures of nature, gently easing away tensions of bustling life. 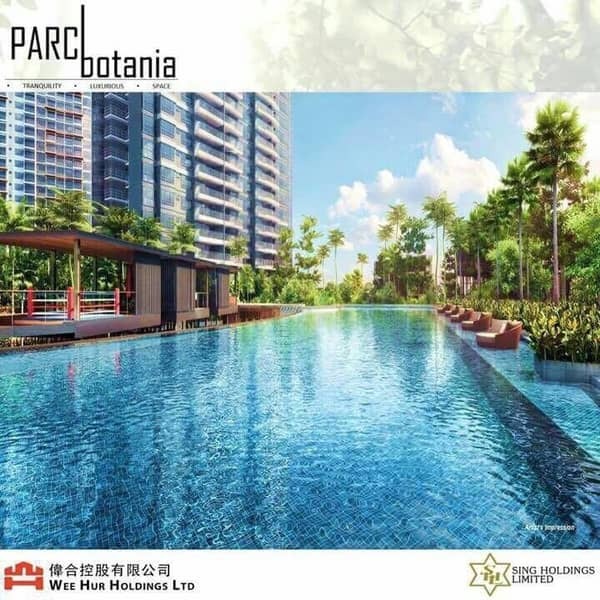 Located next to the Thanggam LRT station, Parc Botannia Condo is strategically well positioned to be one of the most anticipated new launch condo in the North East Region. 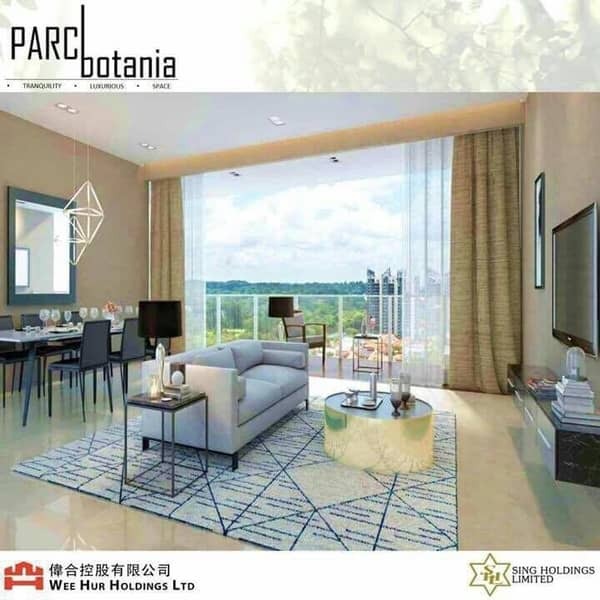 Parc Botannia Condo offers its residents the ability to live in comfort by providing quality living spaces and a variety of amenities. 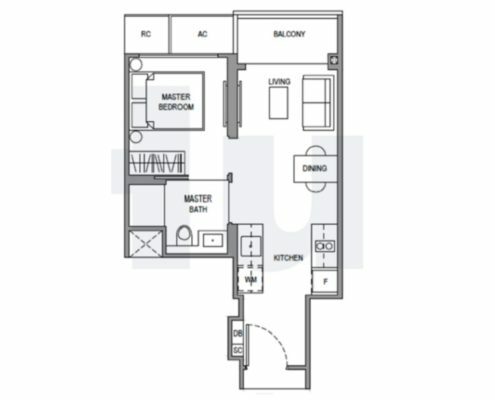 At the same time, the numerous amenities located at convenient distances make the condo a more attractive choice as a place to live in. 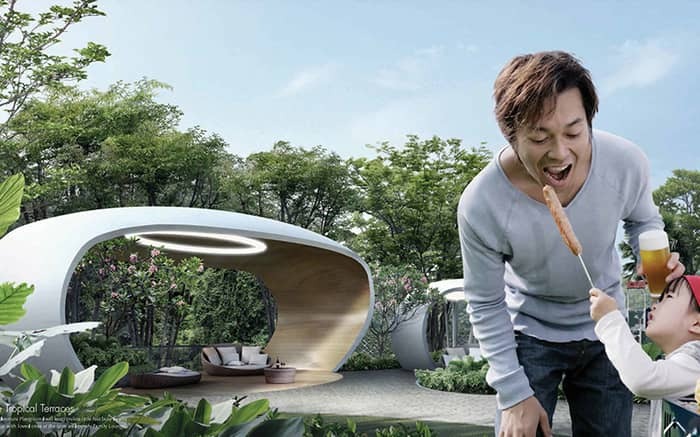 More importantly, these amenities make life at Parc Botannia more interesting. 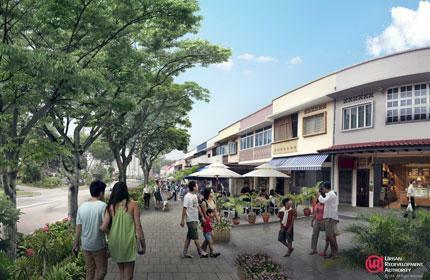 Foodies have been beating a path to Jalan Kayu in such numbers that the area has been designated an “identity node”. The coveted label marks it as a place with “strong character and distinctive identity” under a scheme launched in 2002. 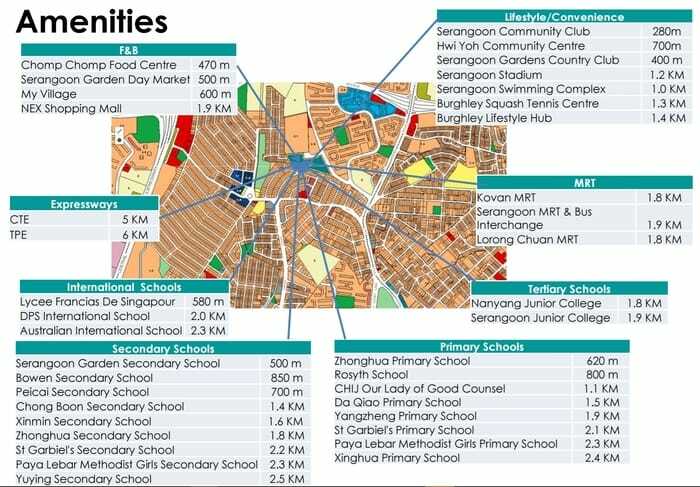 Jalan Kayu, Holland Village and Serangoon Gardens are the latest to be added to the list, which now numbers 18, including Balestier and Siglap Village. The Urban Redevelopment Authority said that it intends to improve access and visitor experience to the historical street. 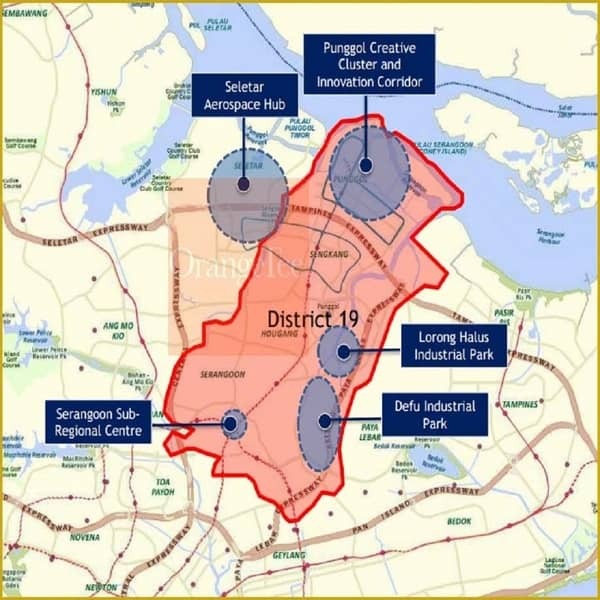 Once a quiet access route leading to the Royal Air Force base in Seletar, the Jalan Kayu area is now being developed into the Seletar Aerospace Park. 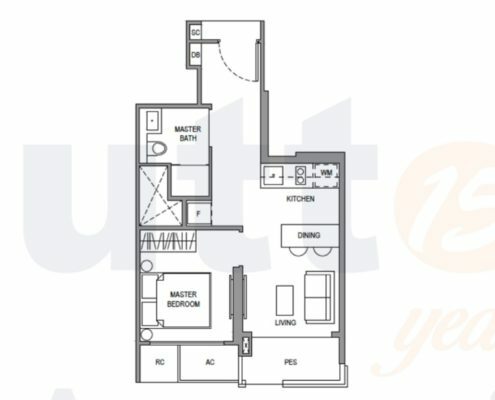 At the same time, the incredible variety of amenities can be easily reached in the vicinity due to the excellent connectivity and location from the new condo launch at Fernvale Road. 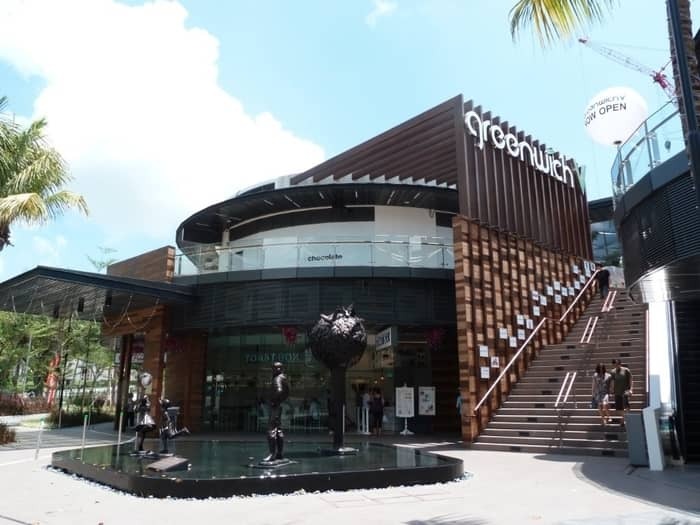 Nearby shopping malls are Seletar Mall, Greenwich V Mall, One Sengkang and Waterway Point. 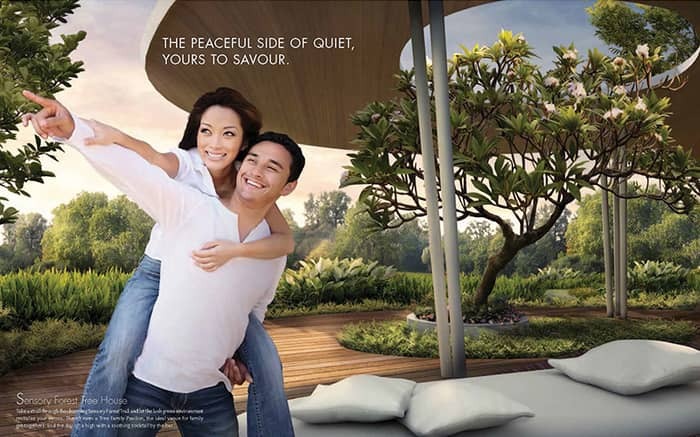 Residents can enjoy quiet respites at the nearby recreational parks at Sengkang Riverside Park. Short drive to Coney island and dining options at Jalan Kayu. 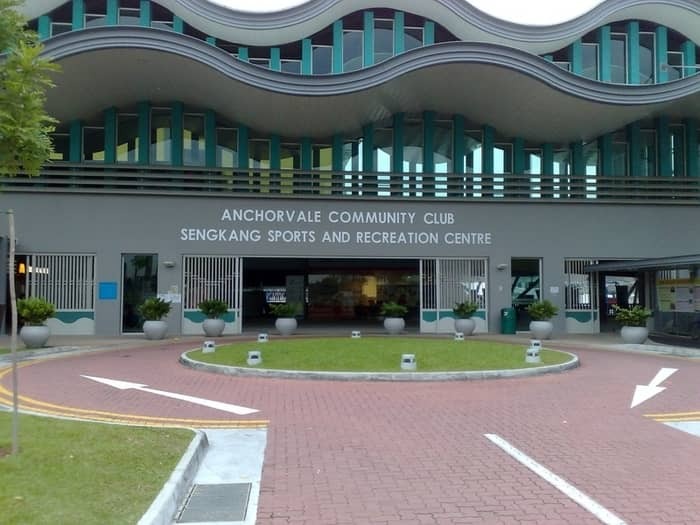 Nearby healthcare includes Sengkang Hospital. 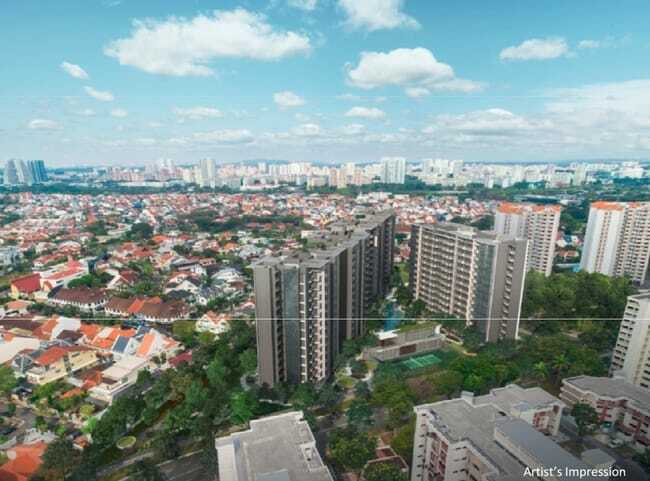 Sing Development and Wee Hur has won the land parcel bid at Fernvale Road in September 2016. 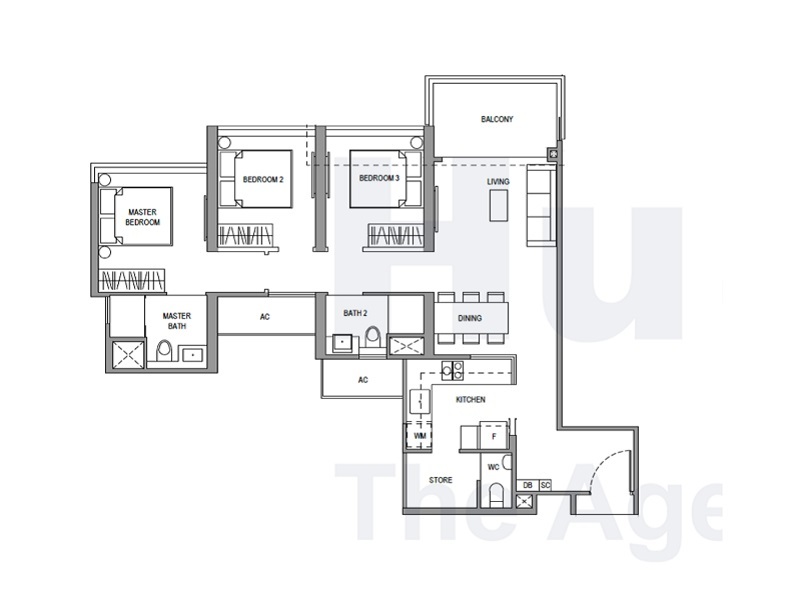 The land was sold for $287mil which translates to $517 psf over the maximum gross floor area. 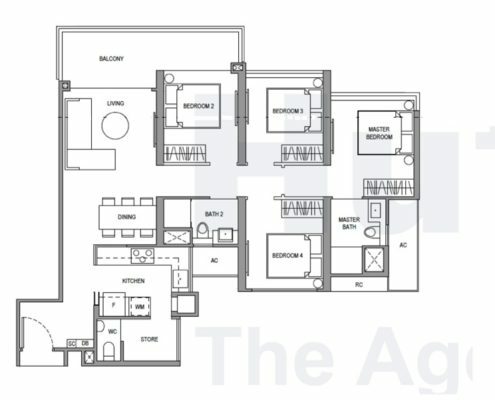 Based on the recent market for new condo launch, we estimated the average price of Parc Botannia condo will be $1,200psf. FREE 1-year shuttle to Serangoon MRT! 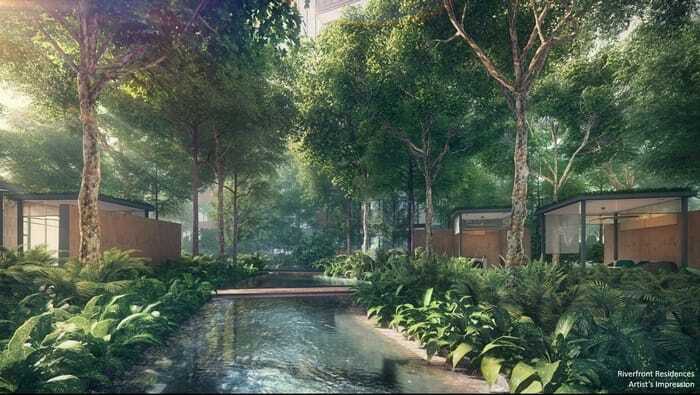 The Garden Residences is the upcoming joint-development by veteran property developers in Singapore – Keppel Land and Wing Tai Holdings. 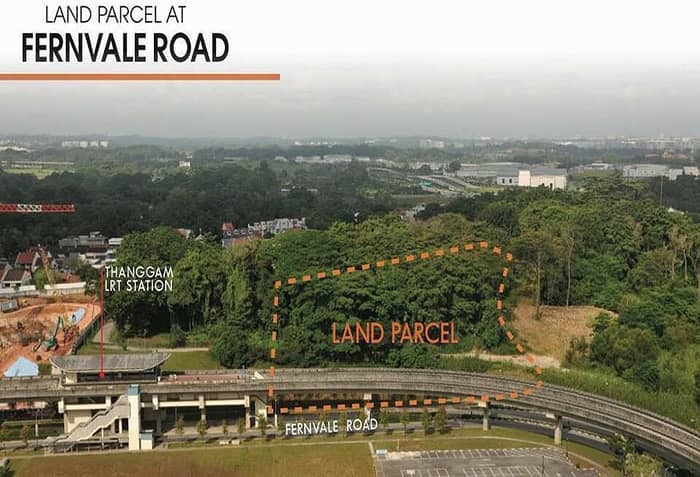 Despite it is not located near to any existing or upcoming MRT stations, the site attracted 16 bids and sold at $965psf ppr, which is around the previous land bid price in Queenstown and Redhill. There are rumors that The Cross Island Line will have one stop which is a short walk from The Garden Residences. Contact us for more info. 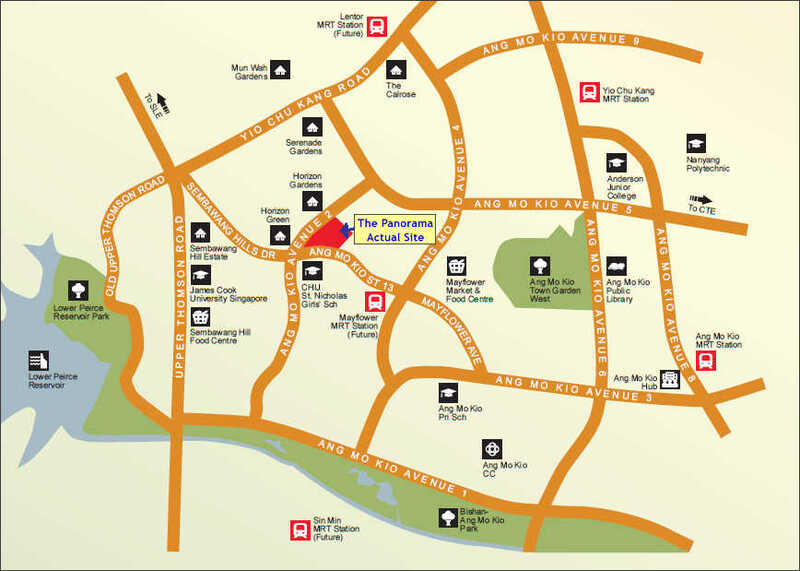 Located at Serangoon North Ave 1 where it is surrounded by Serangoon Garden’s landed properties and peaceful HDB estate. 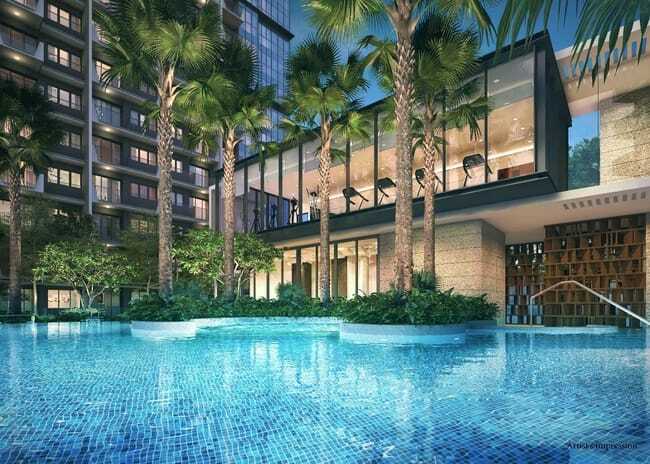 Serangoon is an all-encompassing estate which hosts an array of amenities such as established shopping malls, food paradise, sports and recreation facilities, schools, offices and more. 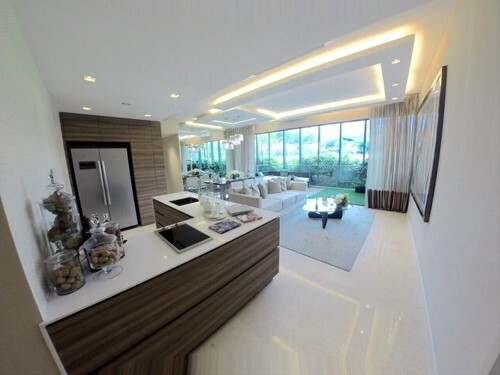 One can live, work, shop and dine in just Serangoon estate conveniently. Keppel Land is one of Singapore’s largest multi-national groups with key businesses in offshore and marine, property as well as infrastructure. Wing Tai was founded in 1955 in Hong Kong and incorporated in Singapore on 9 August 1963. 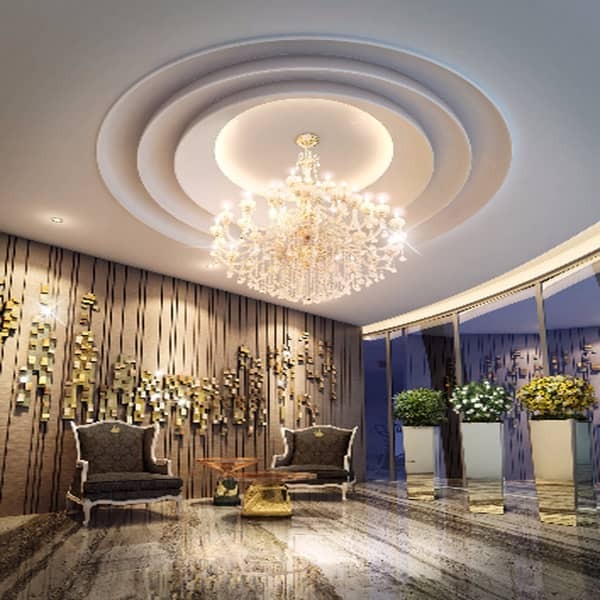 Today, Wing Tai Holdings Limited is one of the largest residential developers in Singapore. Listed on the Singapore Stock Exchange since 1989, Wing Tai is now worth more than S$4.9 billion. When my car pulled up around Serangoon North Avenue 1, I knew I was in for something different. This location has its own kind of vibe and looks a little different from what you’d usually see in other neighborhood. I love the village feel of Serangoon and only go elsewhere if you couldn’t get something here. 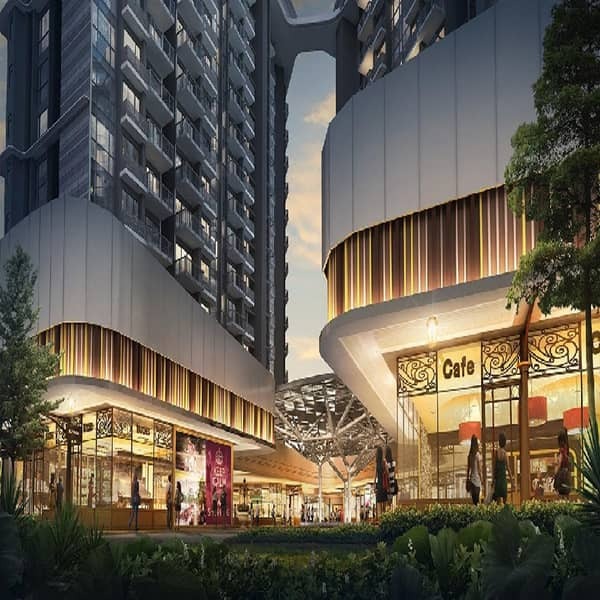 It is within short walking distance to Serangoon Garden where you’ll find an array of shops and eating places to serve the needs of residents around the area. Most of the banks are there, and there’s a chemist, a video shop, a 7-Eleven, pet shops, and a Cold Storage supermarket. There are heaps of beauty salons, too, including Tamarind Spa, which is very good. 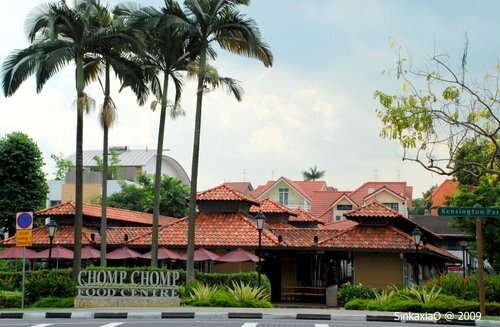 The famous “Chomp-Chomp” is well-regarded for its tantalizing food and Having said that, it seems like a visit to Serangoon Gardens is best with a hungry stomach. 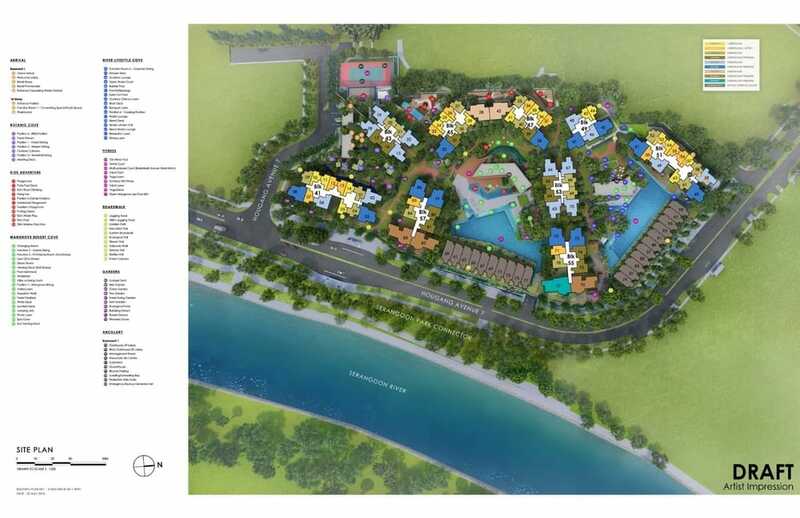 And of course, we do have a mall – myVillage within walking distance. 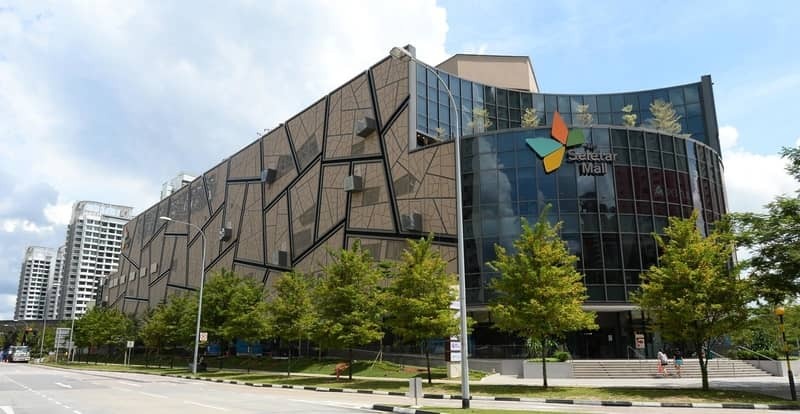 Nestled in the corner of Maju and Farleigh Avenues, the charming little mall houses over 30 stores and dining options. But don’t expect big brands and giant retail stores. However, Nex Mall not too far away has excellent shopping and cinema. 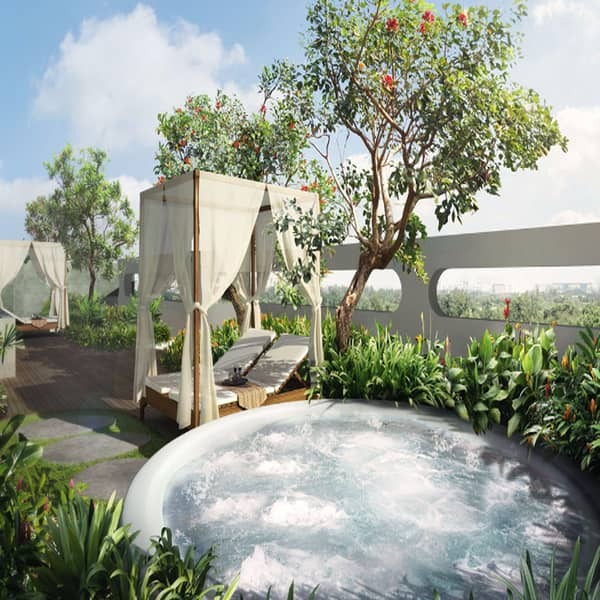 The closest train stations are at Kovan, Serangoon, Lorong Chuan and Ang Mo Kio making it a superb location for long-term stay. 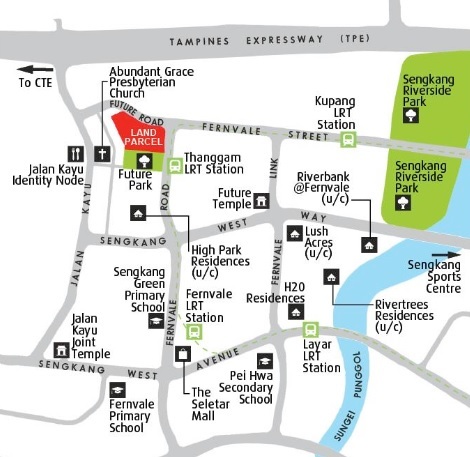 Furthermore, the developer provides free shuttle bus service to Serangoon MRT interchange, where Nex mall is situated. It’s very central, CTE is just a short drive from The Garden Residences. Most importantly, it actually feels like a neighborhood, and the people I meet on my walks are friendly. Public buses are plentiful and regular. Register Now for Updated Price Soonest Possible! 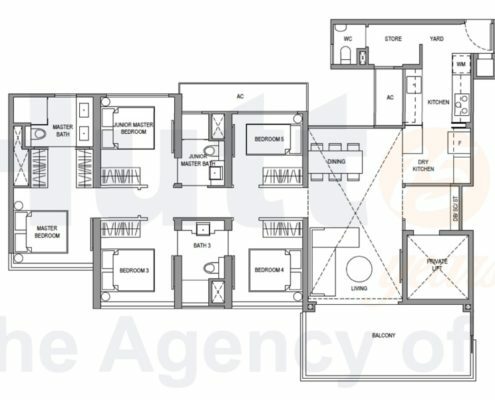 From $578k! Open for booking now! 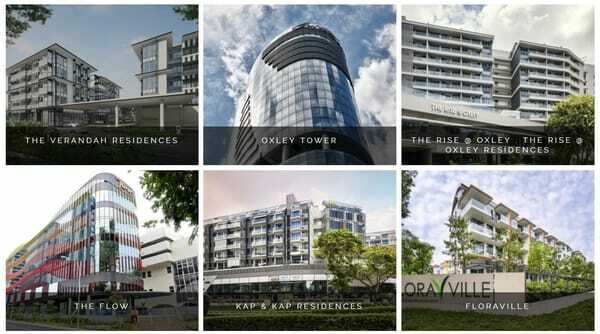 Riverfront Residences is the upcoming new condo development by veteran Singapore public listed developer – Oxley Holdings. 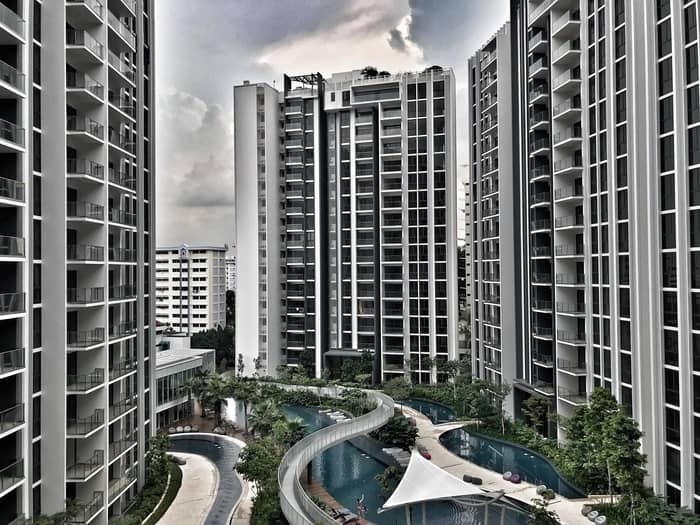 Riverfront Residences was the former Rio Casa, which the en-bloc was successful went through in 2017. 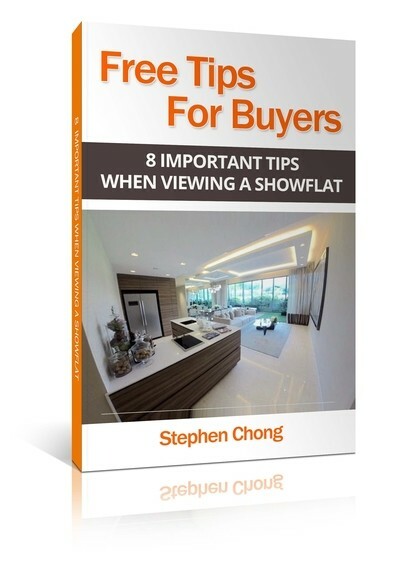 It was a 286-unit development at Hougang Avenue 7 has been sold collectively for S$575 million to Oxley-Lian Beng Venture Pte Ltd.
Register now to attend Showflat viewing and Enjoy Early Bird Pricing! 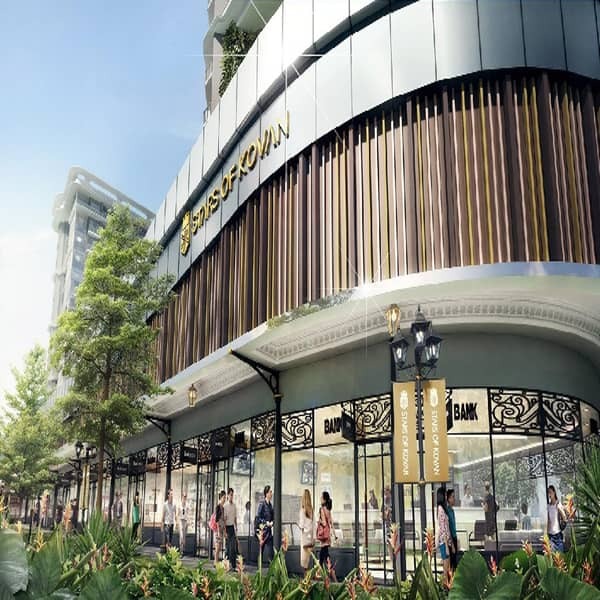 Coupled with an additional differential premium of around S$208 million to top up the lease to a fresh 99 years and develop the site to a gross plot ratio (GPR) of 2.8, the purchase price works out to a land price of about S$706psf ppr, based on its maximum permissible gross floor area (GFA) of around 1,109,447 sq ft.
Knight Frank executive director and head of investment & capital markets Ian Loh attributed the strong interest for the estate to its positive site attributes – which include easy access to Hougang MRT stations and bus interchange, proximity to Serangoon Park Connector, vast surrounding green spaces and waterfront view. 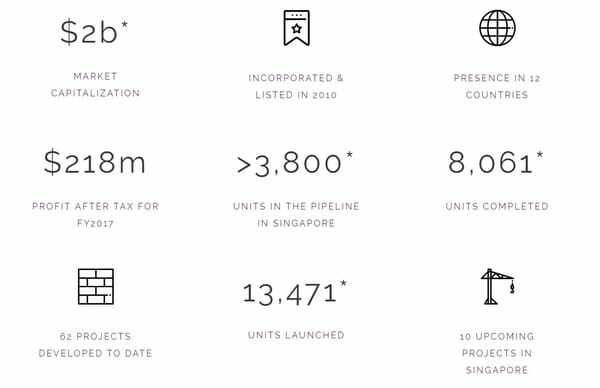 “The gross development value for this project is estimated at S$1.4 billion and can potentially be redeveloped to build about 1,400 residential units, assuming an average size of 70 sqm per unit,” he added. 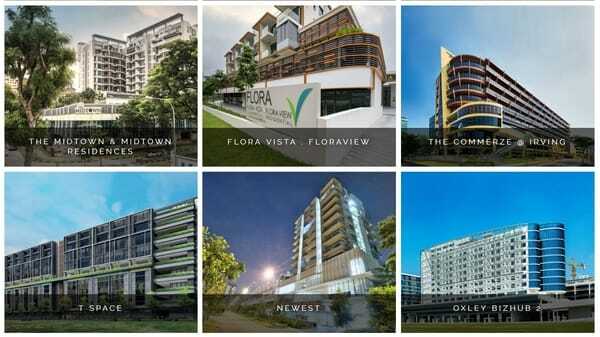 Riverfront Residences is situated next to Sungei Serangoon that stretches all the way from Hougang to Punggol. 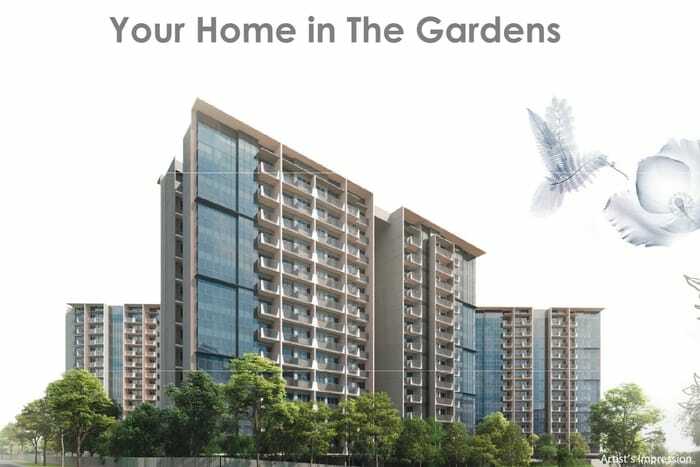 The development offers to unblock view of the river. 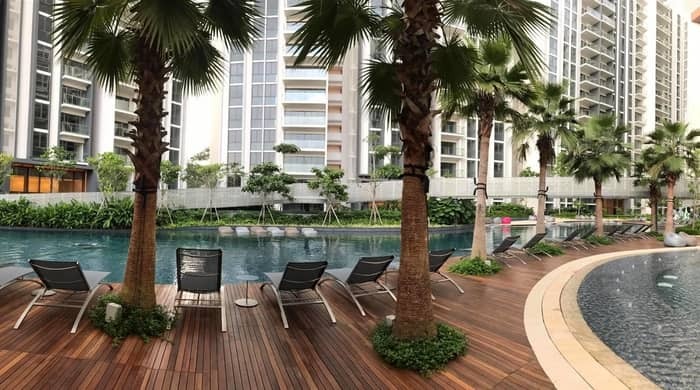 Having a few lap pools are not enough, Riverfront Residences offers long riverfront water views by stepping out of your unit overlooking the balcony. 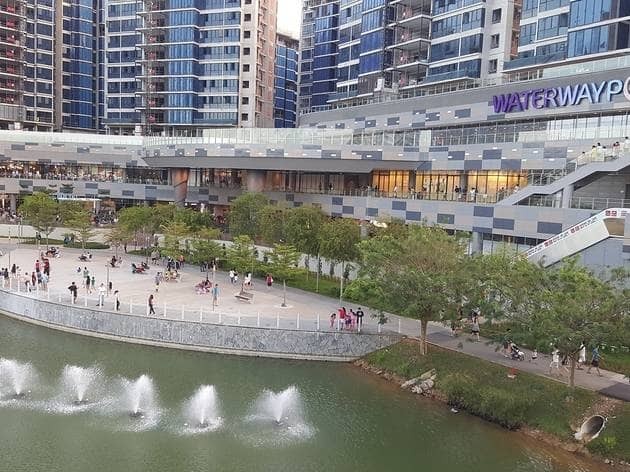 Riverfront Residences is within walking distance about 10 mins walk to Hougang Mall, Hougang MRT station, and bus interchange. 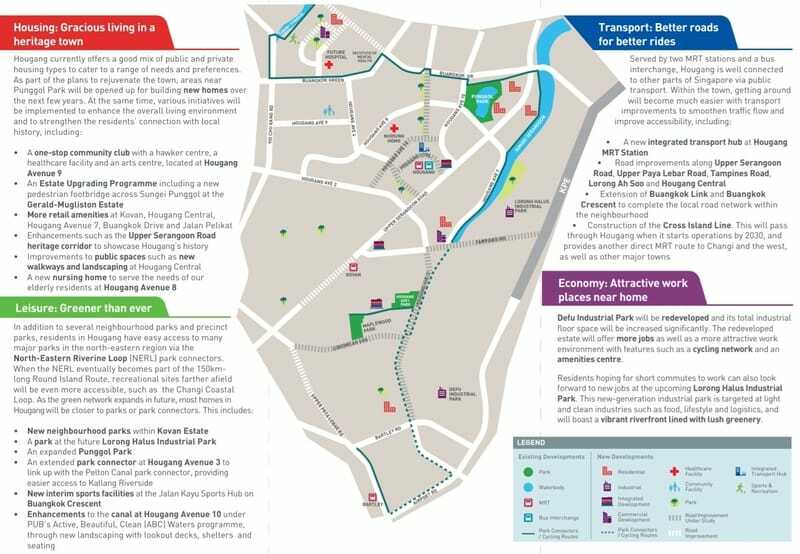 The closest train station and bus interchange is Hougang which is about 10 mins walk away. Public buses are plentiful and regular. 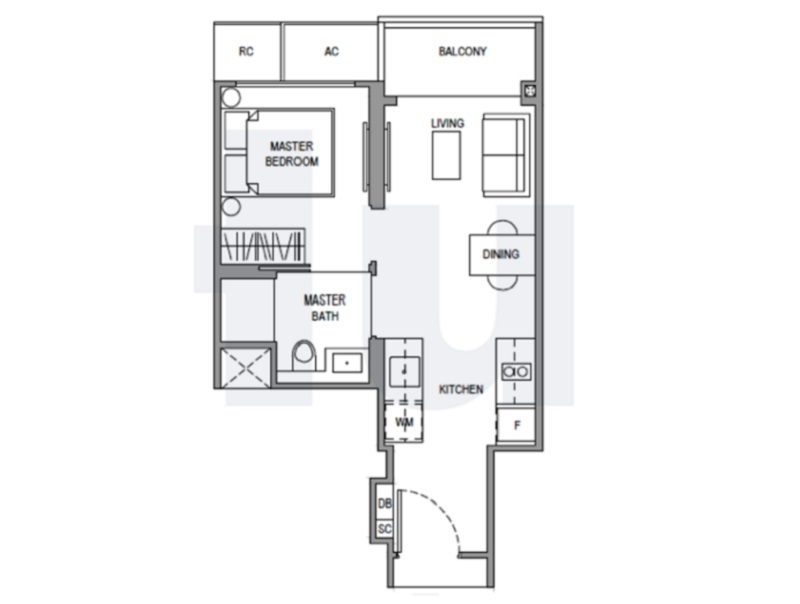 It’s very central, KPE, TPE and CTE are just a short drive from Riverfront Residences. Register now to get the most updated price soonest possible.